Designed to extend coverage for emergency events. When an emergency is unfolding, every second counts. Communicate. 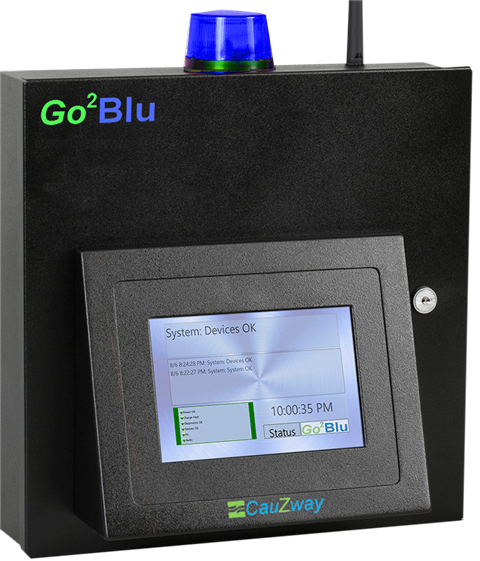 Go²Blu excels in communicating a duress alarm event in seconds to emergency response personnel. Using Cauzway wireless fixed or portable duress alert buttons located in critical areas, the moment an alert button is depressed, a pre-defined audio message is delivered over 2-way radio and public address systems. Distribute Information. 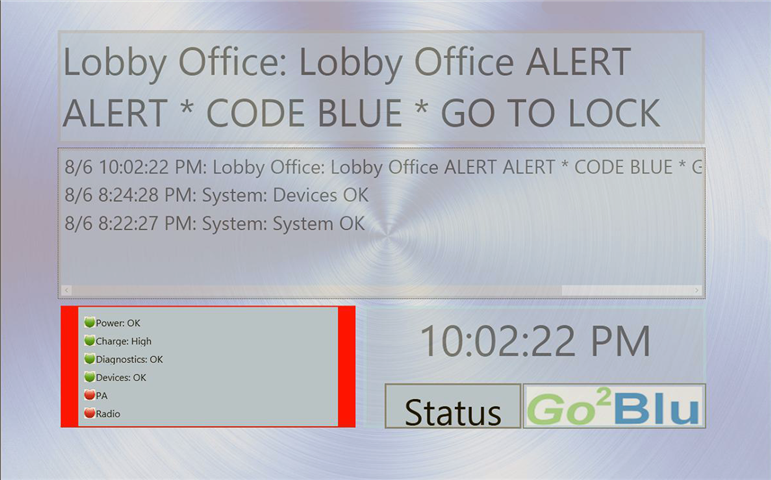 First responders will receive Go²Blu email and text messages with embedded links that open building information files. These files can include aerial campus and building profile photos, floorplans and other valuable emergency information. Monitor and Manage. Cauzway has incorporated remote 'Security Managed Services' that are designed to assure continuous uptime of the Go²Blu system and all wireless devices. Go²Blu is a simple, affordable, managed, comprehensive solution. Go²Blu is the next generation in professional duress alert systems that bridges 900Mhz wireless, wi-fi networks, Cloud Services and local community 2-way radio communications.